Nevertheless, I’m writing this posting to give you some ideas about media relations and publicity, with some do’s and don’ts, because a really positive news story about you and your business can catapult it to great things, and at the most limited level, give you some credibility that will attract business to you and reduce sales resistance. Propose the story, simply, to the right person in the media in a personal way. I got this half right. I used an outdated directory to suggest the idea to who I thought was the Citizen’s assignment/city editor. Turns out he had moved on to other things, and only opened my email in late January — more than three months after I sent it to him. However, the former editor also quickly saw the story’s relevance, and referred it to others, and within days, a staff reporter contacted me to clarify that Simpson wouldn’t mind the story, and interviewed him. Then we waited another three months . . .
Use other media to validate your story idea. I referenced in my email to the editor a Scientific American story about high intelligence societies, where Simpson had been quoted. This gave “social proof” (or maybe “media proof”) to the story — and made it easier for the editor and writer to determine it would be worthy of coverage. This is why, when you are fortunate to achieve good publicity in one media outlet, you can leverage it by referencing the article to other media — and is one technique where you may be able to turn controlled, paid publicity into more powerful free media attention. Real news is not about your interests — it is about the readers’ interests. You might think your great charitable contribution is newsworthy, your new showroom, your flashy marketing strategy are really worthy of front-page attention. They probably aren’t — unless the story is far more valuable to the public and intended readers than your own self-interest. 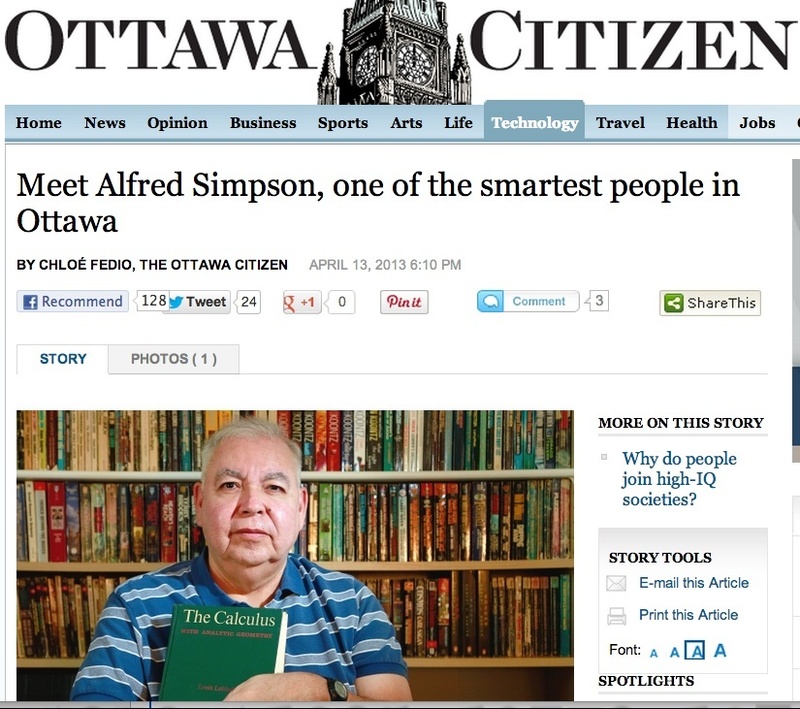 Alfred Simpson achieved publicity in part because he is exceptional (First Nations person who lives extremely modestly but is likely smarter than everyone filling Scotiabank Place for an Ottawa Senators playoff), but also because he isn’t looking for attention. You need to realize that, to achieve publicity, you need to truly consider your audience’s perspective more than your own. You absolutely cannot control the media schedule and interest. This can be a challenge on several levels. You may want to plan your marketing strategy to draw out interest — or you have a fixed time event (such as a grand opening) that you wish to highlight. However, with one exception, you cannot force the point. Your special event might be overtaken by others — imagine your carefully structured “media event” if it happened on September 11, 2001, for example. As well, as you can see by the Alfred Simpson example, a soft story, that I thought might be useful for the newspaper to be published after several weeks delay, perhaps in mid-December, finally made it to the press in mid-April, six months after I proposed it. You can guide, but cannot control, the content. Is there a way around these challenges? The feature profile or special advertising features we and other media outlets publish undoubtedly change the rules of the game. “Advertorials” have editorial-style credibility, but you control when and where they are published, and can be sure the message you communicate is what you want to express. Of course, most advertorials look and read like advertorials — they are often in a distinctive typeface, and the writing is the stilted and puffy stuff communicating the business’s “officially correct” message. The Alfred Simpson story, however, has virtually nothing to do with my business. It is just a good story. 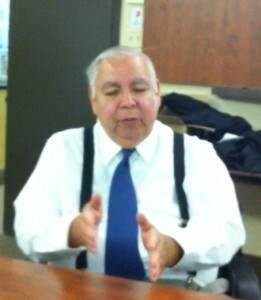 And I enjoy sharing stories about great people who are humble, modest and would not otherwise seek out the publicity.